These lozenges are created from the shoots from the lower branches of Norway Spruce trees (Picea abies) so as not to limit their growth. 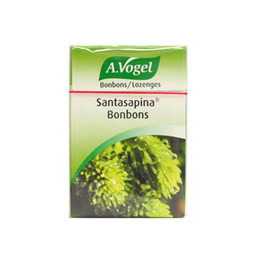 Santasapina Bonbons contain extracts from the shoots of spruce and honey. Cane sugar, glucose syrup (maize), honey (5.9%), pear juice concentrate, spruce shoot extract (Norwegian pine) (3.3%), malt extract, spruce oil, peppermint oil, menthol. Below are reviews of A Vogel Santasapina Lozenges - 30g by bodykind customers. If you have tried this product we'd love to hear what you think so please leave a review. 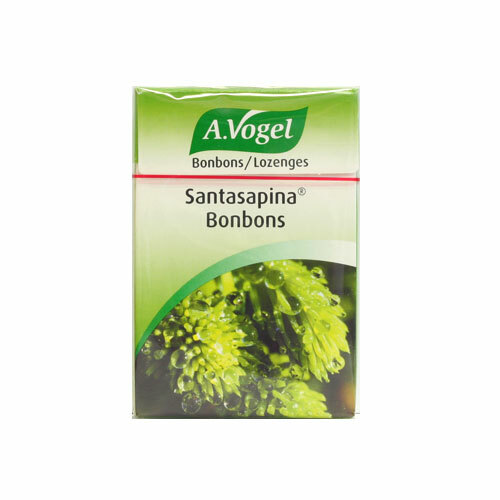 These lozenges are created from the shoots from the lower branches of Norway Spruce trees (Picea abies) so as not to limit their growth.